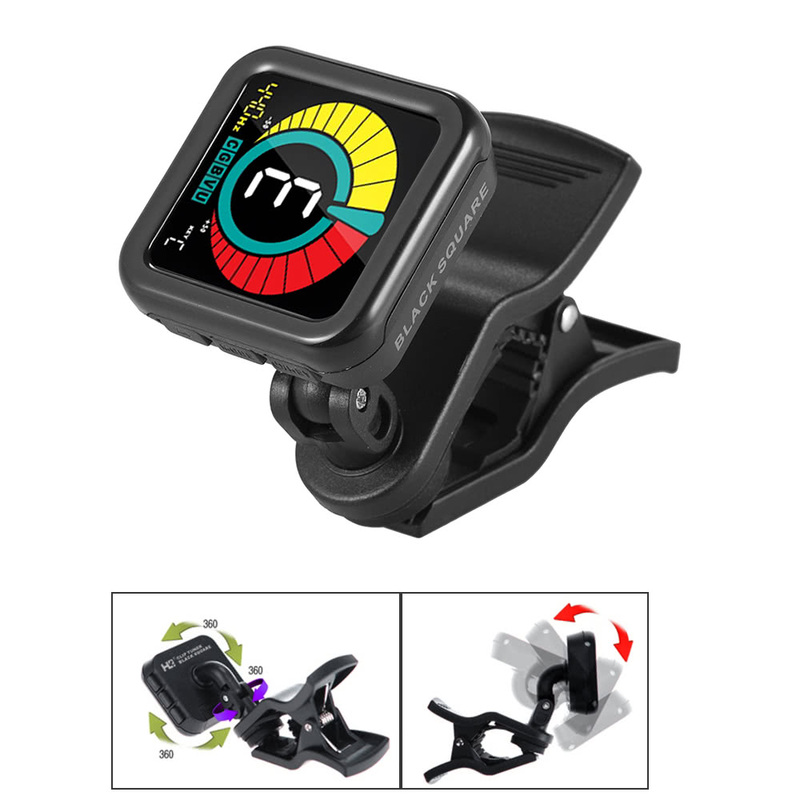 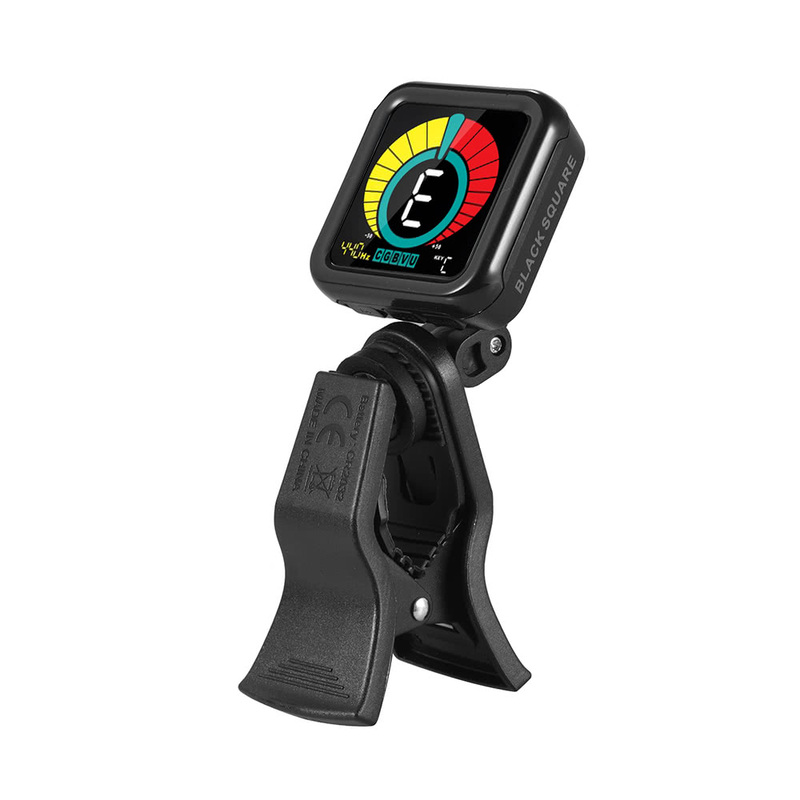 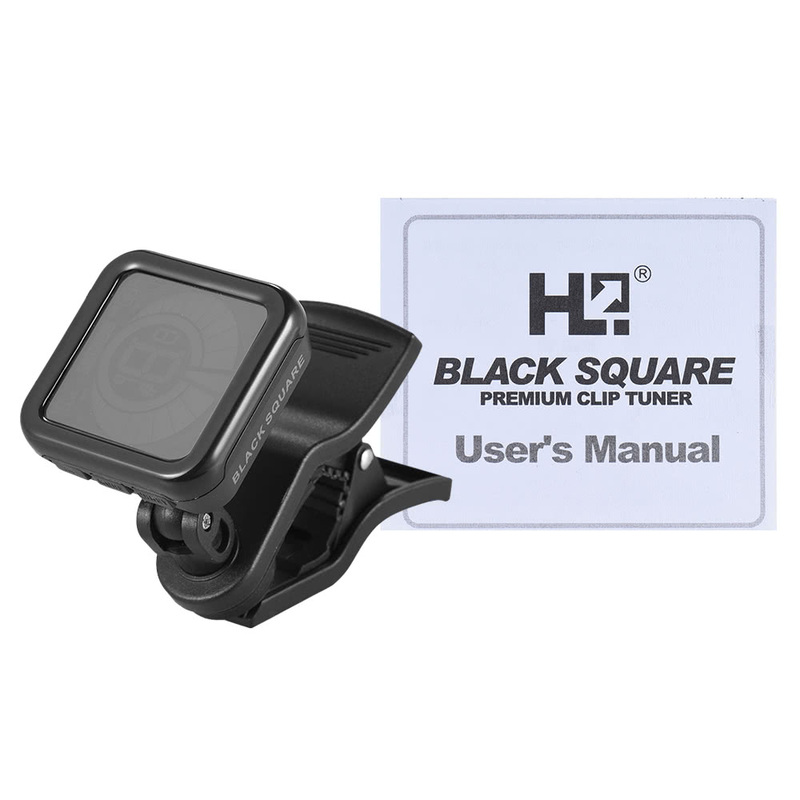 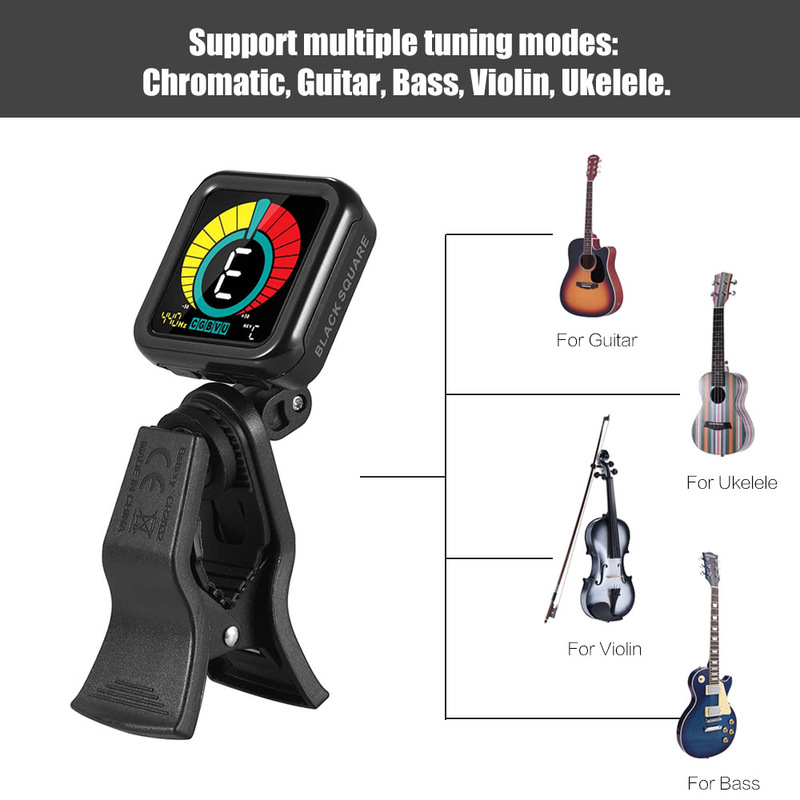 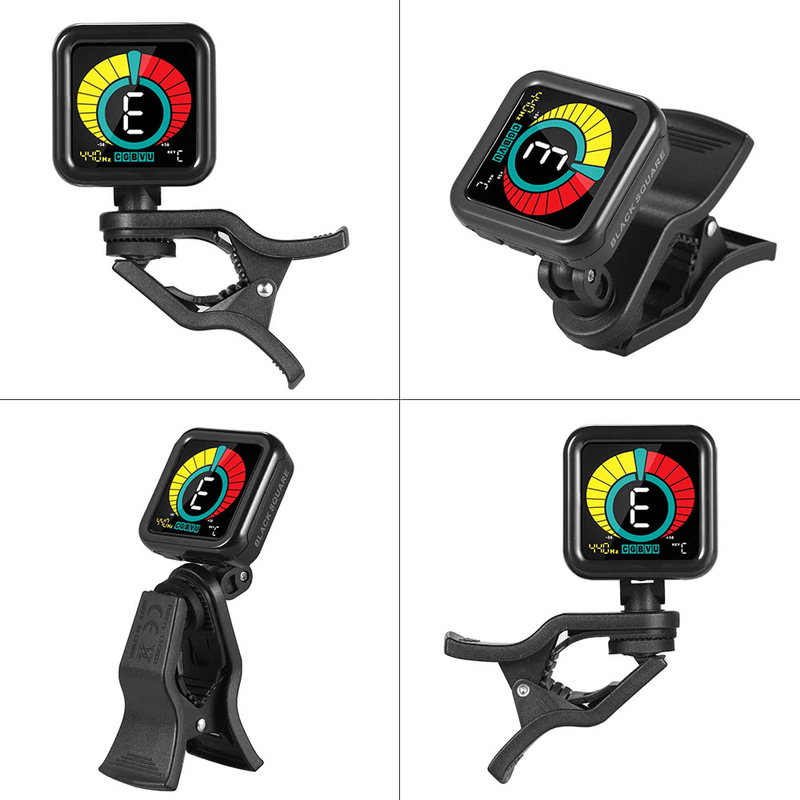 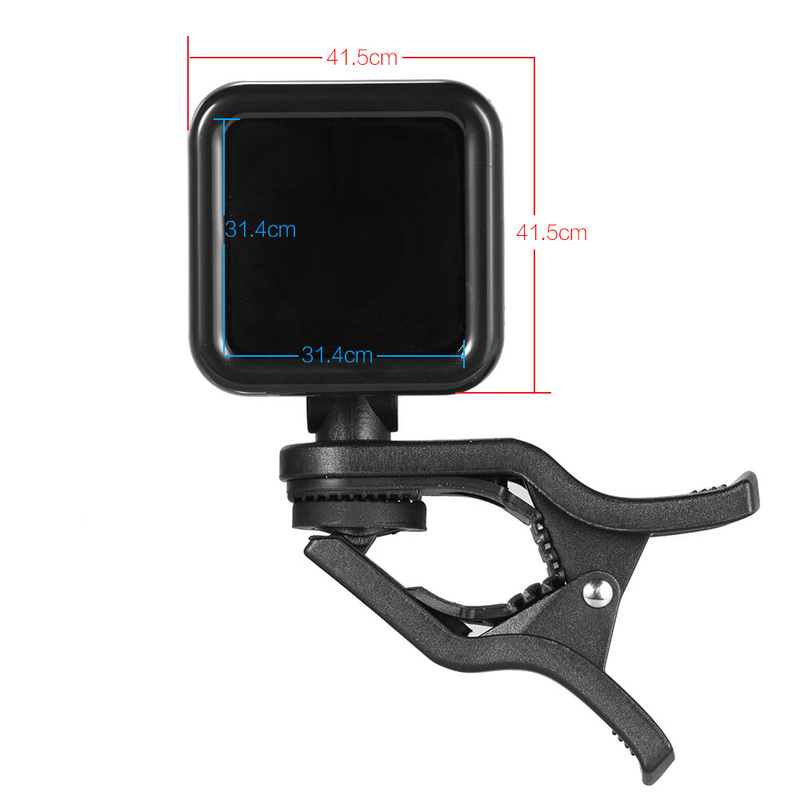 The black square clip tuner features finest vibration sensor, embedding high quality colorful LCD panel and high intensity LED back light, with guitar, bass, violin, ukelele and chromatic mode, universal for acoustic, electric string instrument and wind instruments. 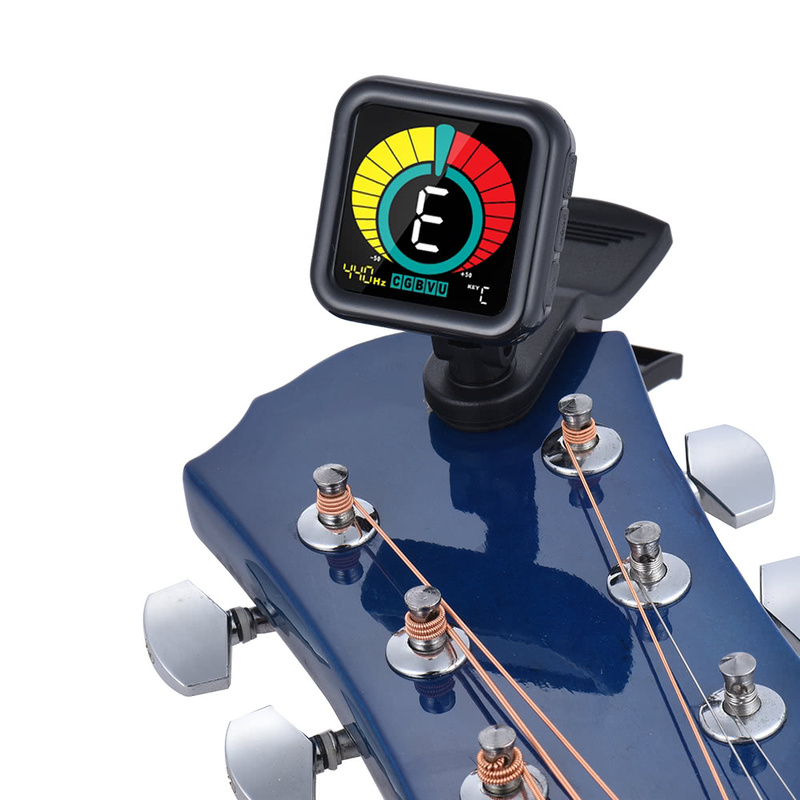 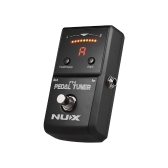 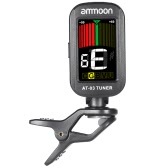 The clip tuner with guitar, bass, violin, ukelele and chromatic tuning mode, universal for various instruments. 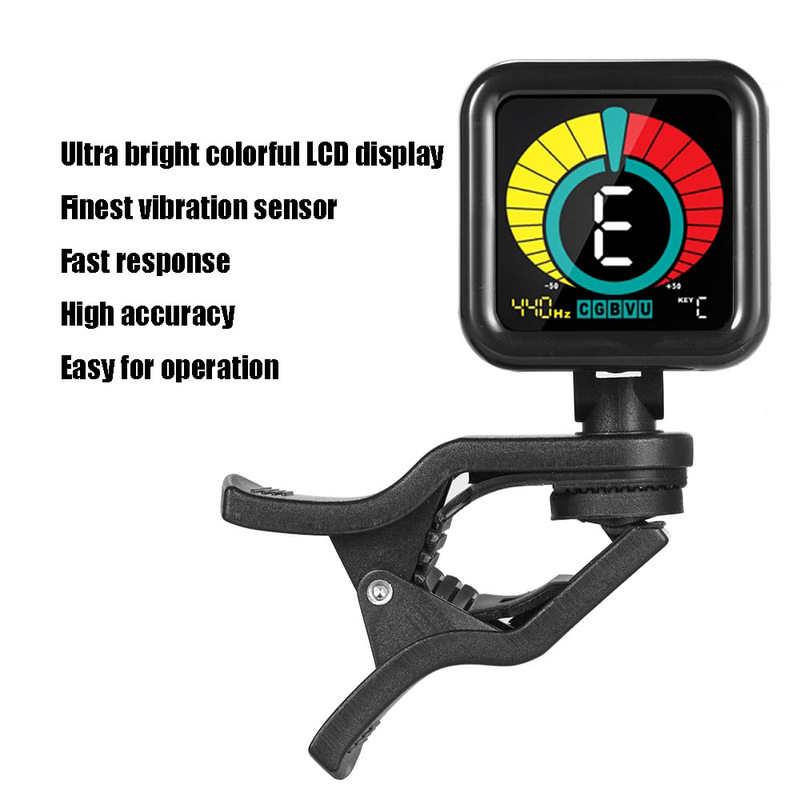 Finest vibration sensor, fast response, high accuracy, easy for operation. 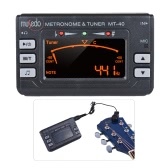 430~450Hz A4 range,C/Bb/Eb/F/D key for setting, A0(27.5Hz)~C8(4186Hz) tuning range. 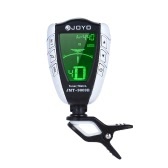 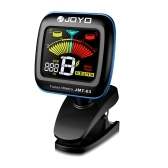 Ultra bright full color LCD display, Multi-angle adjustment, convenient for observing it is in tune or out of tune. 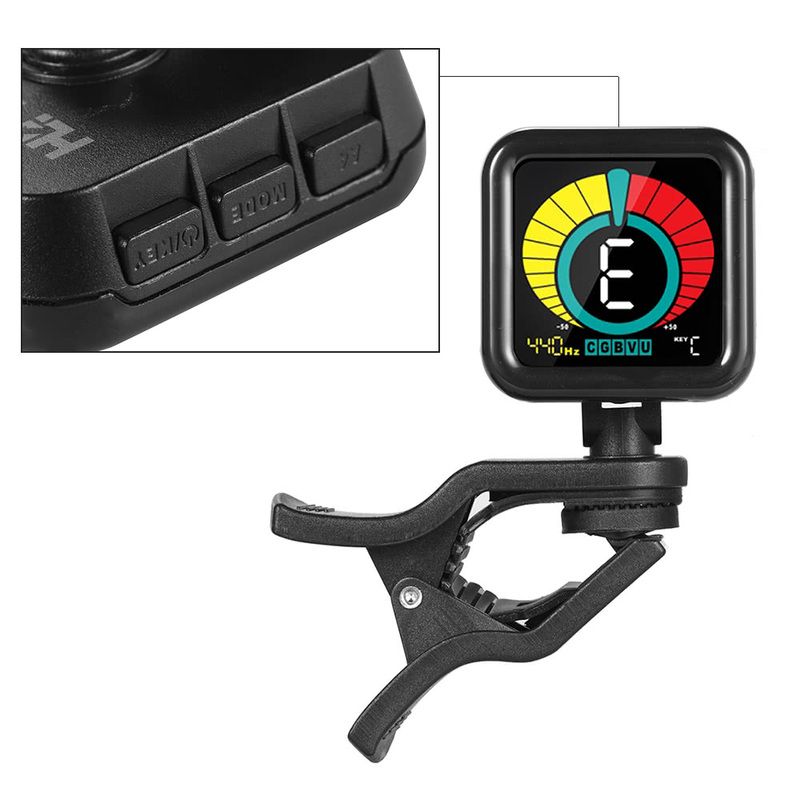 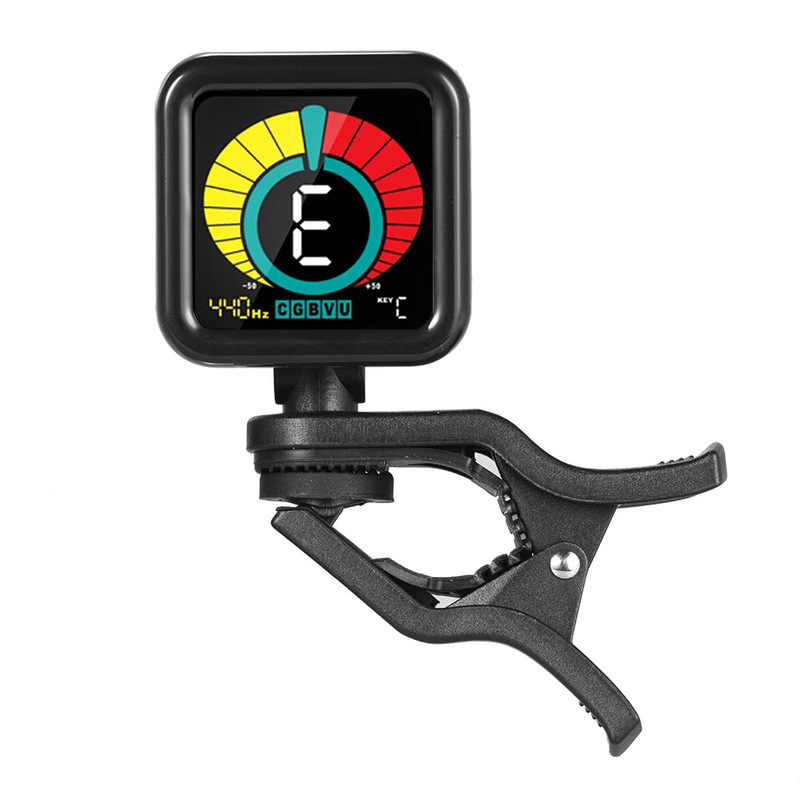 Clip-on design, it detects the vibration for your instruments directly. 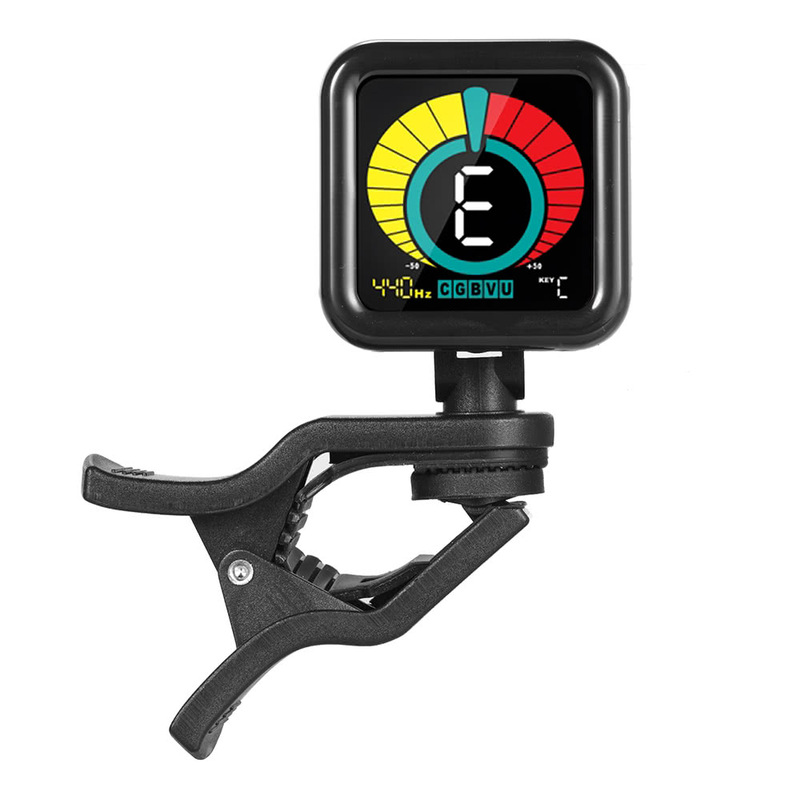 Silicone Padded lines inside of the clip for better protecting your instrument. 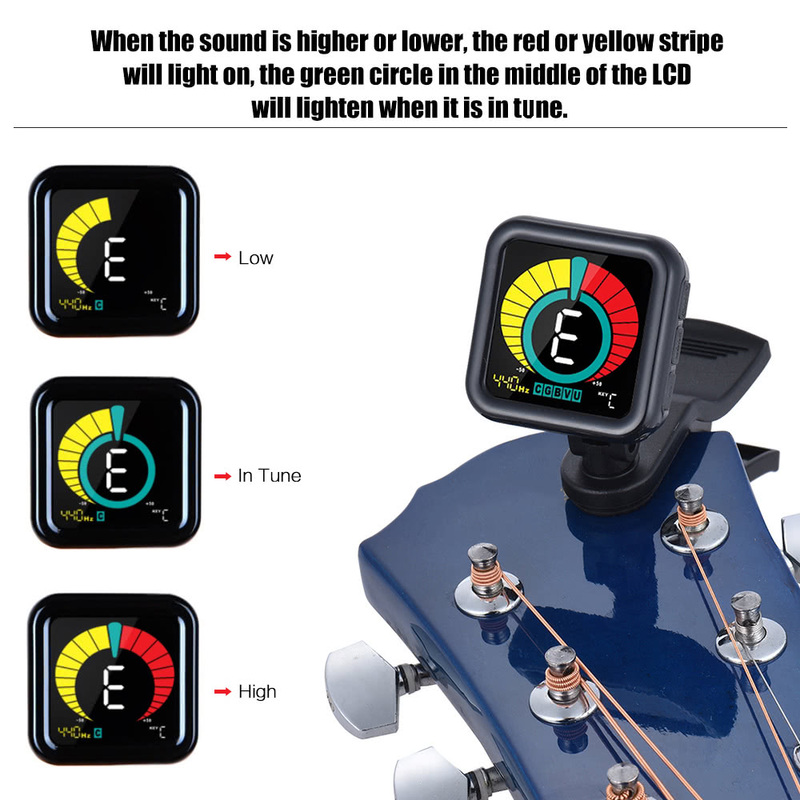 Power save mode, the screen will dimmed if there is no signal input for 3 seconds.